Fun Photo Booth – On The Cutting Edge of Technology! It doesn't matter if you are planning a wedding, a 50th birthday party, a graduation ball, or any other kind of function in the near future, you always run the risk of boring people to tears and having a disastrous night that people want to quickly forget. Sorry to be harsh but it's just so difficult to entertain your guests these days, especially when most people will have their faces stuck in smart phones or tablets all night. For this reason, you need something that has that WOW factor...something that gets people excited...something that your guests will be talking about for months, and even years to come. Introducing the Fun Photo Booth, a revolutionary piece of equipment that has just landed on the shores of Ireland and is right on the cutting edge of technology. Your guests will be amazed at just how easy it is to use and the amount of different features on offer. Everytime the Fun Photo Booth is on display there is quickly a crowd that gathers around the machine, and in no time at all people are talking and there is a real buzz in the air. Why should your guests wait around for hours, days, and even weeks to get a copy of the photos they have just taken? That's how long they usually have to wait with traditional photo booths, and this means they quickly forget about it. Luckily, there are no such problems with a Fun Photo Booth, as thanks to our state of the art printers that are fitted within the booth, you are now able to print the photos in only 15 seconds. Not only does this mean that your guests instantly get a “memory to last a lifetime,” but once other guests start seeing the photos then they will want to get in on the action. As well as instantly printing the photos, people using Fun Photo Booth also have the option to instantly share everything on popular sites such as Facebook and Twitter, and through email. Best of all, this can be done with the simple click of a button, which means even people with very little technical skills are able to share the hilarious photos with family and friends around the world. Another reason why Fun Photo Booth is on the cutting edge of technology is because you have the ability to create 2 versions of the photos. For example, if you use the Fun Photo Booth for a wedding then your guests can get a version and you can get a version of every photo that was taken. This allows you to create your very own photo album to help you remember the occasion and everybody who attended. As you can see, the Fun Photo Booth has a number of different features that sets it apart from the competition. Unfortunately, we can only book so many slots each week, so make sure you book early to avoid disappointment. If you are organising a Deb's ball or graduation party in the near future and you want it to be a memorable occasion for everybody concerned, then you are no doubt looking for ways to spice up the night. At the end of the day, this is a very important occasion for everybody involved, which means it's essential that you get it right. One way to make the night extra special is to rent out a Fun Photo Booth. By doing this you will be able to ensure that everybody gets pictures to remember the night, and at the same time have an attraction that quickly becomes a talking point and ensures that people attending have a great time. So what makes a Fun Photo Booth different than an ordinary photo booth you might be asking? Well, for starters, when you rent a Fun Photo Booth then you will also have access to a number of props such as hats and sunglasses. This instantly makes taking pictures more fun, and also results in hilarious pictures that people actually want to keep and look back on in years to come. It's also possible to choose a certain theme for the night. As an example, everybody could be required to wear cowboy hats or large sunglasses while having their photograph taken. When it comes to the Fun Photo Booth...the crazier the better, and the more crazy it gets the more fun people will have. Just let us know what theme you require and we will do the rest. Another reason why Fun Photo Booth is different to ordinary photo booths is the fact that you have the technology to instantly view and share the pictures. For example, the people using it at a Deb's ball or graduation can easily share the pictures through social media sites or by email, and get rid of pictures they don't like with one click. As well as getting digital copies of the pictures, there is also the option to get physical copies in only 15 seconds, which would look great on a wall or in a photo album...perfect for remembering the occasion for many years to come. You will be pleased to hear that we travel anywhere in Ireland. It doesn't matter if you live in Dublin or Galway, you can count on us to be there! Not only that, but there is also a member of staff who stays with the Fun Photo Booth for the entire night and is on hand to assist with any question or technical problems. Make no mistake about it, when you hire rent a Fun Photo Booth for a Deb's ball or graduation party then everything is taken care of. As well as delivering free of charge and providing a member of staff for the entire night, you can also expect the prices to be very cheap when compared to other options out there. We have a range of packages to suit your needs, so make sure you contact us as soon as possible to discuss your requirements. Unless you have been living under a rock for the last few years then you have no doubt heard about Fun Photo Booth. News of its arrival quickly spread throughout Ireland, and now occasions such as weddings, corporate events, and parties are hiring the booth to entertain the guests and create some excitement. Put simply, a Fun Photo Booth is the icing on the cake for any special occasion. Unfortunately, it seems that some people are becoming mislead and confused when looking to hire a Fun Photo Booth, and instead they end up with a boring traditional photo booth, or hiring from a company that is trying to “knock off” the original Fun Photo Booth. Not only does each and every guest get copies of their photos (which they can print off in only 15 seconds directly from the booth), but you can get a luxury leather bound album with all of the photos that were taken over the course of the day with messages from all the guests. This is a great addition to weddings, birthday parties and anniversary parties, and will ensure that you get to keep the memories for a lifetime. You will also be pleased to hear that Fun Photo Booth gives you a mini camera flash drive at the end of the night which contains every single photo that was taken. This allows you to browse through the photos at your convenience, and then print off photos at any time in the future. What makes Fun Photo Booth really stand out from the competition is our comprehensive selection of props that can be worn to add some fun to the photos. We can supply a mixture of props, or if you have a particular theme in mind for the night then we will be happy to bring props related to that. The simple fact of the matter is that the vast majority of so called “photo booths” out there are still using technology from the 1990's. If you want your guests waiting around for half an hour for the photos to be developed then go right ahead and give them a call, but if you want something that is right at the forefront of technology then a Fun Photo Booth is clearly the right choice. For example, we have a 19 inch touchscreen that is so easy to use. Not only that, but the booth has internet access so the photos can be instantly shared on all of the major social network sites. Lastly, there is a state of the art printer which prints out any photo in high quality within 15 seconds. No waiting around for hours on end. Just instant results so your guests can have a great time for the whole night. As well as renting a Fun Photo Booth from us, did you know that you can also save a fortune on your wedding videography and photography needs? This is because Fun Photo Booth is part of ReelIrishWedding.com, a company with over 5 years of experience and expertise in offering videography and photography services to weddings all around Ireland. The best part is that we like to look after our Fun Photo Booth customers, which means you can expect to find significant discounts at Reel Irish Wedding. In fact, it's often been said that you won't find a videography or photography company anywhere in Ireland that does such professional work for the low prices currently being charged. Ultimately though, when it comes to YOUR big day, it's good to know that you've got professionals at the wedding capturing all of those precious moments. At the end of the day, you only get 1 chance to get this right, so make sure you choose the right company. Sure, you could go down the “ultra cheap” route and hire an amateur camcorder enthusiast who has a few kids birthday parties on his CV, but do you really think this is going to get you the best results possible? Of course not, and this is why you should only hire an established company who use professionals and have a proven track record of delivering. Here at Reel Irish Wedding we pride ourselves on being Ireland's leading and most competitive wedding and photography company. Simply contact us using the contact details on our website and we will be happy to discuss your needs. Not only that, but when you add our unique and entertaining Fun Photo Booth into the mix, then you will have the peace of mind that comes with knowing that your special day will be captured from every possible angle. Just leave all of the details to us. Firstly, it's important to note that we only use professional Canon video cameras. This ensures that your wedding day is filmed in the highest quality possible...but without the high price tag that some companies charge. Once we have all the footage in the can, then the magic really begins to happen when we start using top of the range editing software to edit your special day onto DVD. This is a vital step in the process of producing truly excellent wedding videos, and it is where the vast majority of wedding videography companies in Ireland really drop the ball and get it wrong. Don't take the chance...leave it to the professionals. You might be surprised to hear that our wedding photography and videography services start at only 399 Euros. This is extremely competitive when you compare us side by side with other companies in Ireland, and we are confident that you won't find a better deal anywhere else. One of our most popular packages is the Diamond Package, which gives you both wedding photography and videography services for the entire day, as well as professional DVD's and high quality photographs of the event. Don't delay though, as spaces are extremely limited, especially if you want to book the Fun Photo Booth and Reel Irish Wedding together. Have a Fun Photo Booth Instead of Wedding Favours. It's always been tradition to buy your wedding guests “wedding favours” so they have something to take home and can remember the big day. This is typically some kind of small gift such as a candle or a pack of sweets. However, there are now many people in Ireland who are moving away from giving wedding favours, and instead, they are exploring more exciting things such as the Fun Photo Booth. The reason? Well, let's face it, wedding favours are boring and predictable, while something new like the Fun Photo Booth is EXCITING. We have found time and time again that our Fun Booth Booth quickly becomes the centre of attraction, and in no time at all your guests will be taking photos and having a lot of fun. So just why do people have so much fun? This is mainly due to our range of popular props that we bring to every wedding, which means your guests can wear things such as hats, sunglasses, and costumes to really make the photos as memorable as possible. Best of all, your guests will be able to get a copy of the photos in only 15 seconds, giving them memories to last forever and something that is worth keeping. Much better than a candle or a pack of sweets wouldn't you agree? Not only that, but they also have the option to instantly share the photos they take on social media sites such as Facebook, Twitter, and Instagram so people who are not at the wedding are able to experience the good times that everybody is having with Fun Photo Booth. Most importantly, the Fun Photo Booth is easy and simple to use, and it only has a few buttons that need pressing in order to take the photos and share them on social media. This means that even people who are scared of technology or have had a few drinks and are not quite thinking straight will have no problems using Fun Photo Booth and taking some great photos. With all of this in mind you are probably eager to hire a Fun Photo Booth for your wedding, and are now wondering how much it will cost compared to the traditional wedding favours? We are confident that you'll find our pricing extremely competitive when compared to wedding favours, and once you consider that we offer free nationwide delivery and there is a member of staff on hand all day to assist people with using the Fun Photo Booth, then in our opinion there is only one choice. Please be aware that Fun Photo Booth is a hot new trend that is sweeping across Ireland, and due to the huge demand we are currently experiencing we cannot guarantee that we will be able to attend your wedding. Therefore, it is essential that you order as quickly as possible so you don't miss out. Do you really want to be the only wedding in your town this year that doesn't have a Fun Photo Booth? While people instantly think of hiring a Fun Photo Booth for wedding, parties and corporate events, they don't always associate it with nightclubs and pubs. Actually, this is something that has become increasingly popular over the last few years, and is a trend that looks set to continue for many years to come. Unlike an ordinary photo booth, a Fun Photo Booth creates a buzz among people enjoying a night out at a pub or nightclub. This is mainly due to the fact that we offer a range of different props for people to use, which means they can take funny and entertaining photos that they want to share with their friends. Do you want to know the single biggest reason why nightclubs and pubs across Ireland should be using our Fun Photo Booth? It's because just about all of the photos taken will serve as an advertising vehicle for your venue. You see, what we have found is that instead of printing the photos many people now prefer to instantly share them on social media sites such as Facebook which can be done right from within the booth. Now the best part about this is that we can easily embed your logo on every single photo, which means when somebody shares a photo to their hundreds of friends on Facebook, it adversities your pub or nightclub. Photos on Facebook can quickly go viral, and in no time at all your logo could be seen by thousands of people. Pretty powerful stuff, especially when it shows in the photo that your venue is a place to have fun and a great night out. If you feel that your pub or nightclub has been lacking a bit of atmosphere lately then a Fun Photo Booth is the solution to get things back on track. You see, what typically happens is that the photo booth becomes a hub of activity rather quickly and it gets people talking and interacting with each other. Once the fun begins then a vibrant atmosphere is created, and this is something that will keep your customers coming back for more. At the end of the day, when people have had a few drinks then trying to get them to use a complicated photo booth is an almost impossible task. With this in mind, all of our Fun Photo Booths have been created with simplicity in mind, so your customers can easily take the photos they want without any complications. The touchscreen inside the booth has only a few buttons, and the photos are printed off within 15 seconds. Nothing could be simpler or easier. Hopefully this article has opened your eyes to why your pub or nightclub should be using the Fun Photo Booth on a regular basis. If you have any questions about our service please contact us. Are you considering hiring a photo booth for your special event? Perhaps you want to add a spark to your wedding, dazzle your guests at a party, or bring some entertainment to a corporate event? If you are reading this then you have no doubt heard about our unique company “Fun Photo Booth,” as we are different to every other photo booth currently operating in Ireland. It doesn't matter where you are holding your event, we can travel anywhere in Ireland, and best of all, delivery is completely free. This is in stark contrast to many of the other photo booth companies out there, who will think nothing of charging you high prices just to travel a few miles. When you want a photo booth anywhere in Ireland then the Fun Photo Booth really is your only option. Let's face it, if you were to place an ordinary photo booth at your event then there wouldn't be much buzz among your guests. However, once you add some props into the mix, such as funny hats, wigs, glasses, moustaches (you get the idea), then it quickly becomes a hub of activity and entertainment for every body. This is why a Fun Photo Booth is different than normal photo booths, and why you should only consider hiring us for your event. You will be pleased to hear that we are a team of videographers and photographers who have many years of experience in the industry. Not only that, but the Fun Photo Booth equipment is top of the line, and features a range of different controls that will leave your guests coming back for more. As an example, there is the ability to instantly share the pictures right from inside the booth to places such as Facebook and an email account. Also, the touchscreen pad is so simple and easy to use, which means even people who struggle with technology can get in on the fun. We understand that you might be on a tight budget when planning your event, and this is why we always strive to be competitively priced especially when you compare us with the competition. As mentioned earlier, we deliver anywhere in Ireland completely free of charge, and you can be rest assured that there is no hidden extras or additions included in our price. The price we quote is the price you pay. Nothing else included. It's an unfortunate fact that many photo booth companies out there will deliver the booth and then never be seen again until it's time to pick it up again. Here at Fun Photo Booth we like to do things a little bit different, which is why a fully trained attendant is on site at all time. 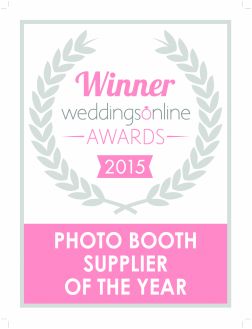 They can help to get people involved with the photo booth, as well as quickly solve any problems that may arise. Please be rest assured that you are in safe hands. Should Every Wedding in Ireland Use a Fun Photo Booth? As you are no doubt aware, organising a wedding is a stressful and time consuming task. There are so many different details to keep in mind, and just one small mistake could ruin your big day. As well as all of this pressure you are also concerned about whether or not your guests will have a good time. Let's face it, nobody wants to put on a wedding that bores everybody to tears and has the guests leaving in droves for an early night. So how do you guarantee that all of your guests will have a good time? Well, one way to increase your chances of success is to hire a Fun Photo Booth, where people can take funny photos instantly using a range of different props, and then either print them off or share them via Facebook and Email. This is a trend that is sweeping Ireland at the moment, and as well as being used in many wedding, photo booths are also appearing at corporate events, parties, nightclubs, pubs, and any other event where people are there to have fun and enjoy themselves. One of the main problems that every wedding faces is capturing the event through photography. Many so called wedding photographers are just amateurs looking to make a bit of money on the side, and because of this, you run the very real risk of not getting good pictures that really captures the vibrancy of your wedding. This is where Fun Photo Booth steps in and saves the day. You see, not only can your guests get a copy of the photo to keep, but we can also arrange to have second prints made, so you are able to keep all of the photos in an album once the wedding is over. Needless to say, there will be many funny pictures and memories to last a lifetime. Have you ever been to a wedding where everybody just sat around looking bored? Unfortunately, these type of weddings are all too common, and if you want to avoid this pitfall then you really do need to hire a Fun Photo Booth. The reason? Because it quickly becomes the centre of attention due to it being unique. In no time at all a crowd has gathered around the booth, and soon after everybody wants to get in on the action by taking a few photos. The fun doesn't stop there though, as once a few funny snaps have been taken then these are quickly passed around and they become a talking point. Because we have access to a wide variety of props, it's very possible for you to choose a theme for the Fun Photo Booth at your wedding. For example, let's say that you want all of your guests to be photographed wearing funny hats, or have props such as wigs and moustaches. You are only limited by your imagination. Let us make your dreams come true on your special day. Fun Photo Booth – Experience The Fun! Are you having a party, wedding, or corporate event in the near future? If so, then hiring a Fun Photo Booth is the way to make your day extra special. Photo booths have long been known to be a perfect addition to just about any event, mainly due to the fact that they quickly become a talking point, and pretty soon everybody is experiencing the fun of taking photos and capturing memories to last a lifetime. For example, let's say that you want to hire Fun Photo Booth for your upcoming wedding. Not only will guests be able to take photos in our booth using a range of props, but they will also be able to instantly share their photos on social media sites such as Facebook. Also, it's possible to print two versions of every photo, which means your guests get to take one photo home while you keep the other one for your wedding guest book. Best of all, you don't need to do a thing when hiring a Fun Photo Booth. Simply leave everything in our capable hands and we will make sure that everything goes smoothly and all of your guests have as much fun as possible. We bring a wide assortment of props to every event, so whether it be sunglasses, hats, funny moustaches, or exotic clothing, all of your guests will be able to dress up and create some hilarious photos. Our company has many years of experience in the photography and videography industry, which means if there are any technical problems they will be sorted out quickly and professionally so that the fun can continue. So how much does it cost to hire our Fun Photo Booths for your wedding, corporate event or party? Actually not as much as you would think, as we are able to offer a free nationwide service with a range of competitive prices. If you want to find out more about our pricing options, then please get in contact with us to learn more. Not only that, but we also offer you the opportunity to see and try our photo booth before you actually order it for your event. We feel confident that you will love it. Our booths are comfortable and stylish, and print instant photos on a professional photo printer. Your guests don't have to pay a penny, and within 15 seconds of taking the snap a photo is printed. Due to the fact that Fun Photo Booth is becoming wildly popular across Ireland right now, our schedule is filling up fast, which means you need to book a Fun Photo Booth as soon as possible in order to avoid disappointment. Recently launched, Fun Photo Booth is a new and exciting way to bring some fun to any event that you may be holding. Perhaps you will be having a wedding in the near future? Or you want to bring some life to a corporate event? Whatever your needs Fun Photo Booth is there for you, as we strive to become the best photo booth service in Ireland. Not only that, but we also offer a free nationwide service, which means it doesn't matter where you are in the country, we can turn up wherever you need us and bring the magic right to your doorstep. So what makes Fun Photo Booth unique to all of the other standard photo booth companies out there? Well, for one we are consistently upgrading our equipment, software and cameras, which means you will always get the very best that technology has to offer. For example, all of our booths come included with a huge 19 inch touchscreen and have the ability to instantly print your photos. It doesn't stop there however, as you can also instantly share the photos with family and friends anywhere in the world right from inside the booth. Simply choose the Facebook and Email sharing options and you are good to go. You will also be pleased to hear that you can take unlimited photos that are printed in passport and 4x6 size...memories to last a lifetime! Make no mistake about it, we are a professional company with many years of experience in the industry. We are part of the Reel Irish Wedding Group, an experienced crew of videographers and photographers who understand exactly what you require. DO NOT leave this kind of service in the hands of amateurs who are just looking to make some money on the side, as they will let you down and do a second rate job. When you want your day to be special and full of entertainment and fun, then only the best will do. So why exactly should you want to hire a photo booth anyway? Let's face it, it's not usually the first thing that people think about when they are planning a party, wedding, or corporate event. Well, the main reason why you might want to consider hiring Fun Photo Booth to grace your event is because it is different and unique. People are often intrigued by the photo booth, and it quickly becomes the centre of attention and a hub of activity. In no time at all, everybody is gathered around the booth to get in on the action. Also, let's not forget about the props that Fun Photo Booth provides, as these help to make the photos funny and memorable. We have a wide range of props to choose from, including sunglasses, hats, boas, signs, and a whole lot of other stuff too. The crazier the better! No matter if you have something in mind or you just want us to bring a selection of props to your event, we can supply everything you need to make your Fun Photo Booth a truly memorable experience for everybody. Hi, my name is Derek Lawless and I am the owner of Fab Weddings & Events Group, based at G8 Riverview Business Park, Nangor Road, Dublin 12. We are committed to the highest standards of quality and use the very latest Canon professional cameras. We are fully insured and always carry backup equipment at all times, because you never know.